Teeth brushing time is such an ordinary time in our lives, that twice daily ritual where we all squeeze into the bathroom before going to bed or going downstairs to start the day. It’s such a strange time of the day. In the morning the children have just woken up, either by themselves naturally or by us, in a rush to get ready for school and whatever the day holds. They’ve got dressed, often under duress, and are then cleaning their teeth, under more duress, before we go downstairs for breakfast. 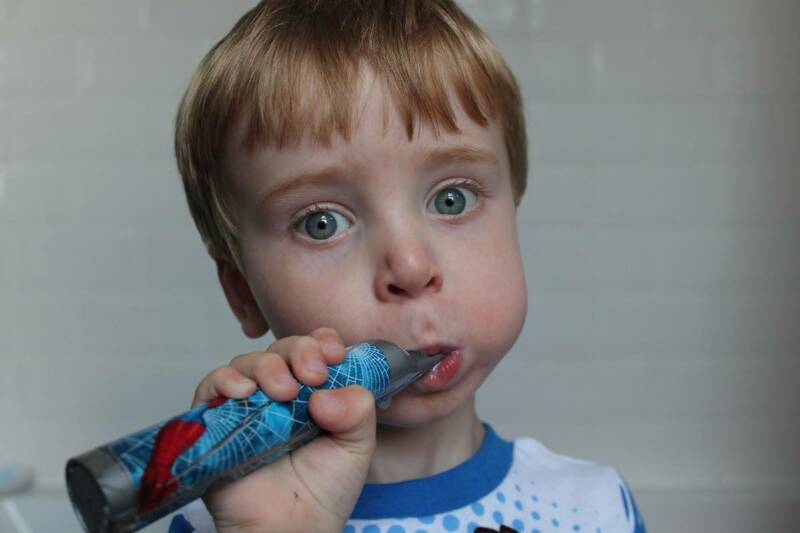 The morning teeth brushing is often hard work, often stressful and something we just get through as smoothly as possible. Then it comes to bedtime, dinner’s done, the children are tired and we get them bathed as smoothly as possible. Then, when they’re wrapped in their towels and even more tired we go through the monotony of teeth brushing, mixing it in with a cuddle whilst they dry off. But sometimes the morning runs smoothly and they brush their teeth whilst singing the Doc McStuffins ‘this is how we brush-em, brush-em’ song before bouncing down the stairs. And some days bath time is just so easy and the children are happy and they brush their teeth happily whilst we read a bedtime story. Teeth brushing is the one time of the day that can be completely hit or miss. Some days it’s lovely, some days it’s just such hard work but it’s something we do, every day, twice a day. 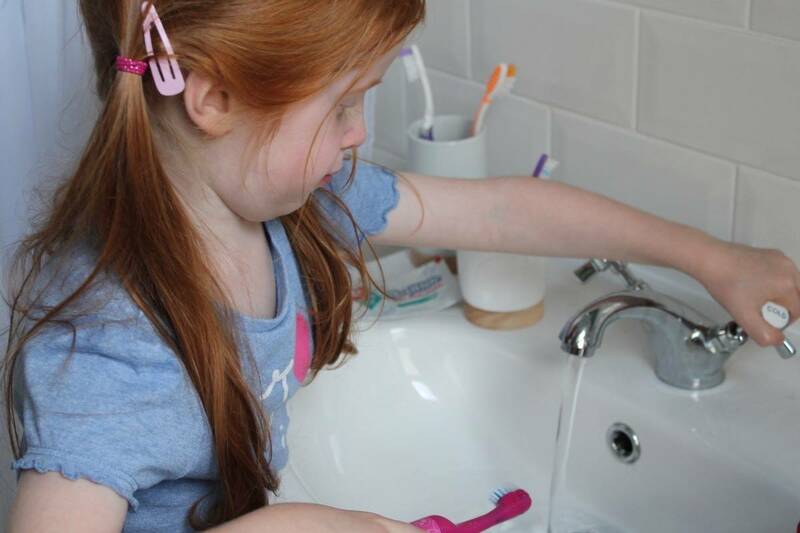 One of those little routines that we have as a family – seeing the children stand on the step to reach the sink, gradually learning how to turn the taps on by themselves or squeeze out the toothpaste. It’s the one time of the day, despite it happening twice a day, that when we stop to look we can see how much the children have grown. We see that they can spit in the sink without the step now, that they can turn the taps on and off and that they can clean their teeth pretty well without much help. The children are growing so fast and sometimes it takes something as simple and ordinary as teeth brushing to make us stop and see just how much they’ve grown. I’ve just noticed recently that Fin can see in our bathroom mirror now… it’s at my head height, so I suspect he will be overtaking me in height in the very near future eek!